Super Sprayline Marker Aerosol. White. 400ml. 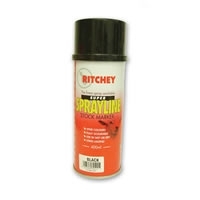 Our most popular brand of sheep marking spray, tried and tested, All weather, long lasting aerosol marker. Ideal for sorting, grading, scanning or pairing ewes with lambs at birth. Fully scourable.